6th class boys and girls have been playing in the Marion Keane basketball tournament. In the first round they boys were closely beaten and were knocked out of the league. The girls won their matches and went through to the second round. On the 21st of April the girls played Crusheen. It was a very close match but Knockanean came out on top by 2 points. In the quarter- final the girls played against Cooraclare. It was a very tough game and went to extra time ,but our girls fought hard and won 14-10 !! In the semi-final we played Gaelscoil. We were beaten but we played with heart. 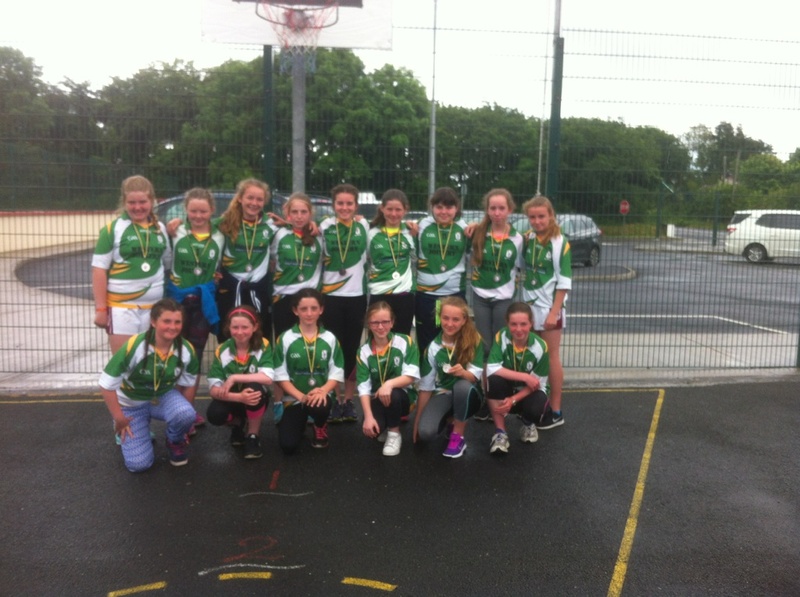 Gaelscoil went on to play Toonagh and came out on top. We played against Ballyea for 3rd and 4th place. It was a close match all the way through but sadly we lost but Ms Flaherty brought us to the shop and bought us ice-cream! !